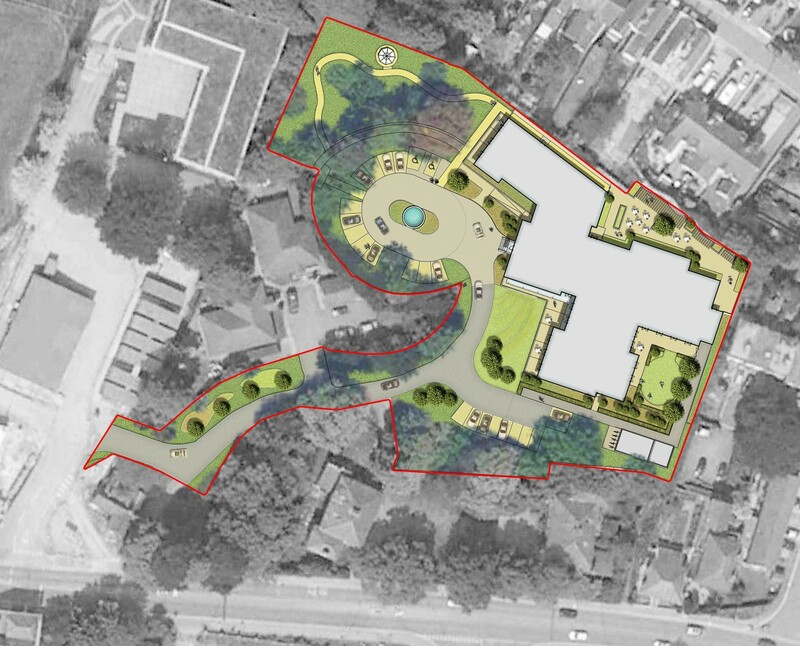 Situated within the Old Manor Hospital Conservation Area near Salisbury in Wiltshire, this proposal will convert and extend Llangarren House (a listed building), to accommodate 60-bedrooms for assisted living with associated landscape enhancements. Appointed to the project by Highwood Group, Influence reintroduced the principles of the historic Regency setting through a mix of formal and informal outdoor spaces designed to complement the architecture. 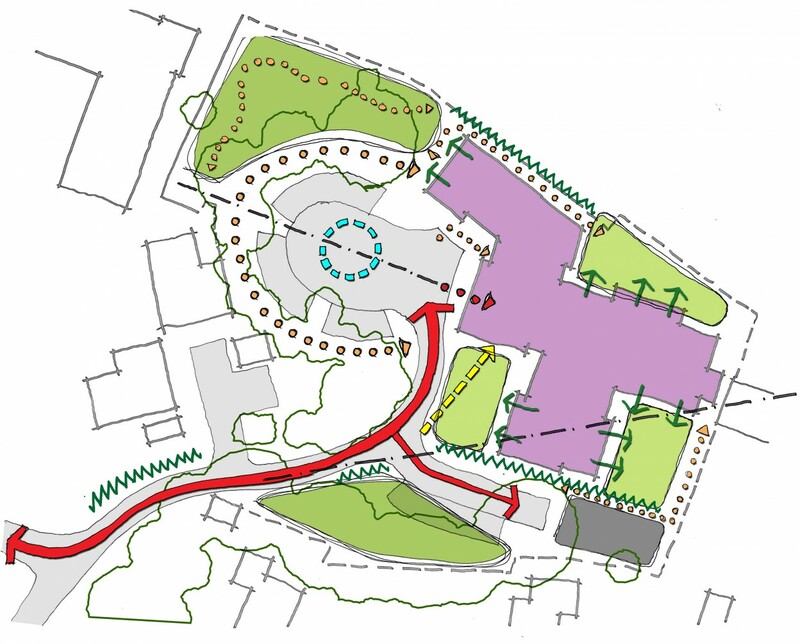 An ecological area adjoining the more formal landscape was set aside, the idea being to create a small woodland habitat that allows residents to connect with nature. 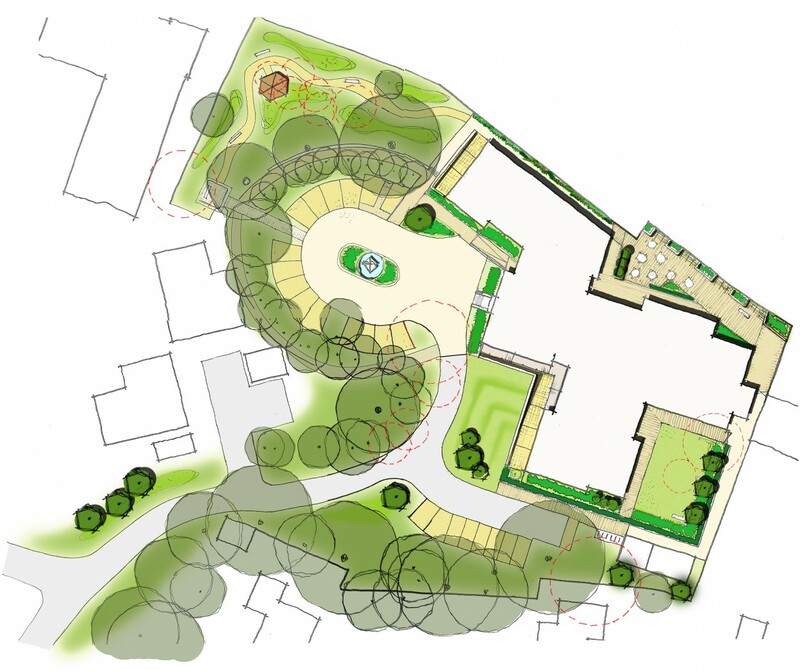 A path with regular seating areas winds its way through the woodland, creating a tranquil haven where residents, visitors and staff can relax and reflect. This is what’s widely recognised as a ‘Green Prescription’. A specific woodland management plan was produced for new habitats including the reintroduction of coppicing techniques and piles of wood formed by materials cut on-site.